September 1, 2016 by Ecommerce News. About Events with tags Europe. 4771 views. Summer is over and that’s too bad. 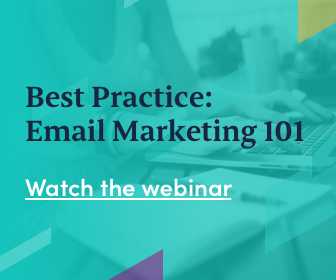 But it also means there are more ecommerce events to visit! September is traditionally a busy month when it comes to conferences, events and exhibitions about the online retail industry. We found all the interesting ecommerce events you could visit in Europe this month. We made a handy overview for you, so you know when and where an ecommerce event in Europe takes place. Well, the name of this event gives it away: it’s all about the barbecue. About 30 exhibitors and 1,000 trade visitors are expected at the Afterbuy BBQ16. Cross Border Event is an annual retail event which focuses on cross-border ecommerce. On this day, the Cross Border Top 30 will be presented, a list of Dutch companies that get the most sales from abroad. Deliver One is a logistics event that live streams its keynotes in virtual reality. There are one-to-one meetings, workshops and a live concert. E-Commerce Paris is part of the Paris Retail Week and consists of 2 major shows, 300 speaking slots, an award show, a startup village and much more. dmexco is a major European ecommerce event taking place in Cologne, Germany. It combines a trade fair for digital marketing with a conference. eTail Delivery took place in London last year, but now it’s hosted in Amsterdam. This two-day event lets you revolutionize your customer delivery strategies. Another event in Amsterdam. Over 130 ecommerce professionals from the top 100 UK online retailers will discuss the future of customer centric retailing. There are several ECC-Forum’s per year, but this one will be about digitization, innovations and marketplaces. Rethink! Internet of Retail Minds is a two-day event bringing together professionals who play an active role in the retail and Internet of Things scene. Lengow Ecommerce Day is based around four main themes: cross-channel, cross-border, cross-device and cross-data. There are speakers from IMRG, JD, Adidas, Facebook, Mirakl and more. Treffpunkt E-Commerce Cologne is a networking event of Der Händlerbund, the largest online trade association in Europe, aimed at ecommerce players. The eCommerce Awards for Excellence highlight the best online retailers, online companies, agencies, innovations, products and campaigns the ecommerce industry has to offer. Ecommerce Expo features 200 speakers, hundreds of ecommerce providers and suppliers, 15 theaters, 3 events and one venue: all for free! 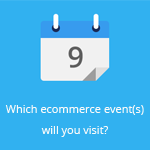 If you want to visit more ecommerce events in Europe, please visit our events calendar. If your event is missing, don’t hesitate to contact us!